Look, you have a product to sell. So what do you do? You pitch it, of course. You spell out its features, advantages and, crucially, its benefits. FAB. But what if they don’t match what your prospective customer wants or needs? But it’s worse than this; because sometimes your product does match the wants and needs of your prospect. You just fail to persuade them. Or they don’t trust you enough to even listen. Maybe they hear its features and benefits, but they don’t even realise that these are what they need. Oops. The problem is, you’ve gone up to them and tried to create a ‘selling environment’. You have done everything you can to optimise the selling process. But you selling a product is not what your customer will ever want to be thinking about. And if they do think about it, what label will they put on you? 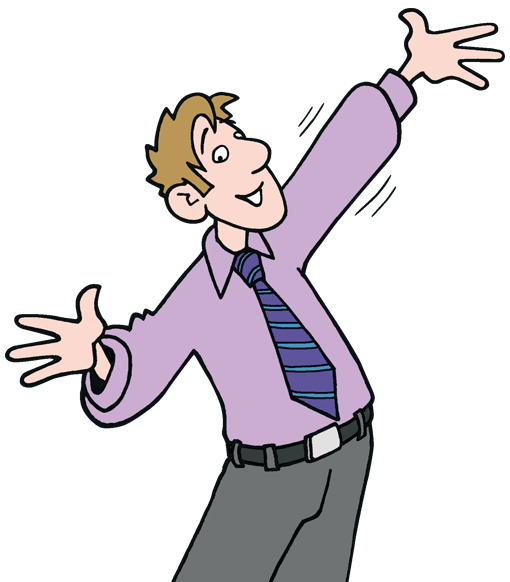 When was the last time you heard someone say they wanted to spend time with a salesperson? What you should really be trying to optimise is a ‘buying environment’. This is an environment where your prospect feels comfortable about buying. And how do you do that? You ask questions about the things that your customer is worried about. You let them talk about their concerns as much as they want. And you listen to their answers with curiosity and respect. And one framework for doing that is the SPIN Selling framework. SPIN Selling is a questioning and listening process that achieves steps 1 and 2. Before we look at how to use it, and what each step means, let’s take a quick look at how Rackham developed the model. Neil Rackham studied psychology at Sheffield University in the mid-1960s, having grown up in the Southampton area. Following a number of roles and books on psychology in business, he founded the Huthwaite Research Group in 1974. There, he used his psychology research methods to investigate effective behaviours in successful business-to-business sales. He was able to raise funding from and secure the co-operation of large multinational companies including Xerox and IBM. Some 30 researchers studied 35,000 sales calls, made by 10,000 salespeople, across 23 countries over 12 years. The four steps of the SPIN Selling model highlight the types of questions that will help you build trust and understand what solutions to offer your customer, which will give them benefits they will value. Understand the customer’s context, to help you focus your questions on the problem at hand. This will also allow you to qualify whether your customer is likely to benefit from the range of products or services you have. The more you can understand your prospective customer, the stronger your rapport will be. Start with broad survey questions and then focus in on the details of their business. Find out what is bothering your prospect. These are the pain points for which they are likely to pay for a solution. Sometimes you need to use your questioning to help them understand that they do, indeed, have a problem. Once you and they understand they have a problem and what it is, you can start to ratchet up the pain levels, by asking about the consequences of that problem. What will happen if it goes unresolved? It is the impacts that you uncover that will drive your potential customer to feel the need to fix their problem. Ask what the customer wants and needs, to ease their pain. Don’t be too quick to offer your products or services. Let them articulate exactly what they need, so that you can later show how your offering matches this. It will help eliminate price concerns. If I have a need, which causes serious implications if I don’t fulfill it, then as long as the price is less than the implications, your solution will seem attractive. 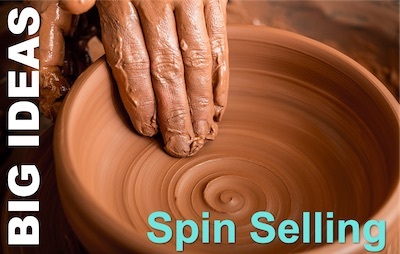 What is Your experience of SPIN Selling? We’d love to hear your experiences with, and your ideas and questions about SPIN Selling. Please leave them in the comments below. The Sales Excellence Pocketbook is full of tips, techniques, and tools to make the difference between a ‘no’ and a ‘yes’ response to your selling. The Salesperson’s Pocketbook is full of tips, techniques, and tools for salespeople, sales managers, customer support staff, trainers and all those in direct business development.